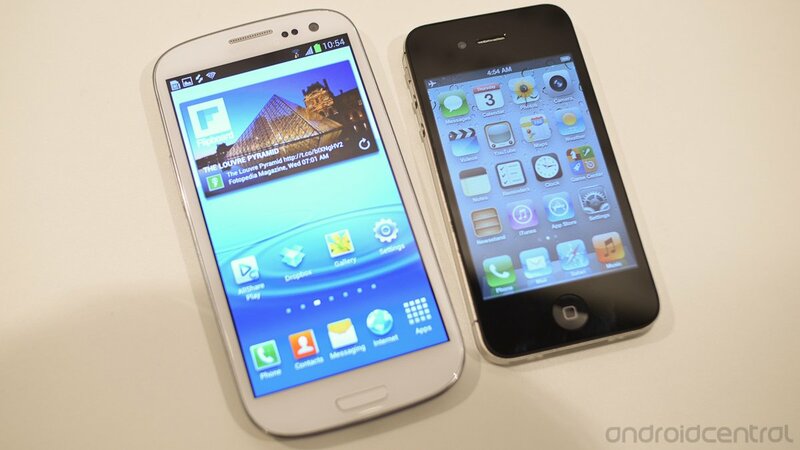 iMore has learned that Apple wants to remove Google from iOS, at least as much as is possible. A couple of years ago Steve Jobs called a Town Hall meeting at Apple and rallied the troops by saying the next iPhone, which was to be the iPhone 4, would be an A+ update and take it to the turncoat Google and their Android operating system. According to our sources, a similar sentiment is being expressed by Apple in Cupertino again this year, but with a decidedly different twist. Instead of just hitting Google and Android in the market place with better hardware and software, and in the courts with patent litigation, they're going to hit them where it really hurts. While the exact numbers are hotly debated, it's long been said Google makes more money off iOS than they do off their own Android operating system. The reason for this is simple -- mainstream iOS users tend to use the web and apps more than mainstream Android users, and iOS is filled with Google services. The built-in Maps app is powered by Google and provides sponsored search results. The built-in Safari web browser defaults to Google Search and serves Google Search ads. When iOS users use those services, Google makes money. Regardless of whether or not iOS or Android is winning in the market place, Google is winning in the wallet. And Apple wants to end that. Removing Google from Maps is an easy step in that direction. As reported by 9to5Mac earlier today, and as we've confirmed from our own sources as well, iOS 6 will come with an updated Maps app that removes the Google backend and replaces it with an Apple backend. This isn't without precedent. Both Apple and Google used to use Skyhook for Wi-Fi router location mapping, and both have now switched to in-house databases. Google used to license map tiles and has since re-drawn them themselves. Apple has bought 3 mapping data related companies, and could have either re-licensed or redrawn tiles by now as well. For the end-user, the interface is the app, and switching out backend pipes is far more transparent than altering front ends. Mail is Mail regardless if it's being fed by iCloud or Gmail. The same holds true, in large part, for Maps. So in this case, the goal is more interesting than the process -- to remove Google as much as possible from iOS. Realistically, Google Search will be tougher to replace since Google enjoys an almost monopoly sized share of the search space. But it may not be impossible to displace. Apple is already intermediating Google Search with Siri and that will likely continue. Google isn't in the search business, it's in the data collection/advertising business. It doesn't make money when you search its index, it makes money recording your information, aggregating it, and brokering deals for it. Search isn't the product it sells. We are. If Apple steps in and makes the queries on our behalf, and returns them on Google's behalf, Google is cut out of the important parts -- the money. All of this is in stark contrast to January 2007, when then Google CEO Eric Schmidt took the Macworld stage with then Apple CEO Steve Jobs to celebrate the Apple/Google iPhone partnership. That was before Google pulled a 180 and turned Android from a low-end Windows Mobile and BlackBerry competitor to an iPhone competitor. That was before Apple started suing Android manufacturers and Steve Jobs threatened to go "thermonuclear". And that's before Apple decided to stop helping Google's revenue stream, data stream, and perhaps bolstering their stock profile, by giving them built-in access to iOS users, and Apple branded data deals. Now, Apple isn't just fighting back by making the best iOS software and iPhone hardware they can, and by trying to legally force Android manufacturers to stop copying Apple. With iOS 6 on the upcoming iPhone 5 and rumored 7-inch iPad, they're fighting back by removing as much of Google as they can as well. By denying Google access to iOS eyeballs and data. If history is any indicator, both new devices will sell incredibly well, and tens of thousands of new customers, and hundreds of thousands of newly updated customers, will be funding and feeding Google less than ever before. This time Apple's fighting back by hitting Google where it really hurts -- in the wallet.